Just like the rest of the Philippine Information Agency (PIA) personnel in Central Luzon, our house in Bacolor town in Pampanga was also buried in lahar. In spite of being also a victim of the calamity, I had to report for work since our office was at the forefront of disaster response. That was in July, 1991, the year that caused so much havoc in Central Luzon brought by the eruption of Mt. Pinatubo. Living up to the agency’s mandate, the PIA-Central Luzon, in spite of its personnel were also affected by the calamity, still went on pursuing its job of providing relevant, accurate and timely information about the then current catastrophe facing the entire region. The Regional Disaster Operations Center was then located at the second floor of Camp Olivas in the City of San Fernando. 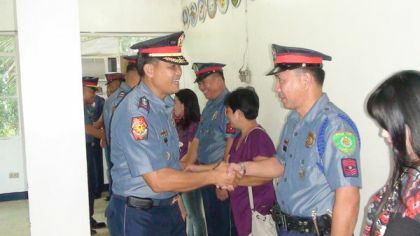 The OpCen was manned by action officers designated by the various government agencies. Among them were those from the Department of Public Works and Highways (DPWH), Department of Social Welfare and Development (DSWD), the then Department of Education, Culture and Sports (DECS) now DepEd, Department of Health (DOH), Department of Agriculture (DA), Department of Environment and Natural Resources (DENR), Bureau of Fisheries and Aquatic Resources (BFAR), Department of Interior and Local Government (DILG), Department of Labor and Employment (DOLE), Department of Trade and Industry (DTI), Department of Science and Technology (DOST) and many others, including the PIA. They were tasked to post situationers in a big bulletin board, respond to emergencies and reply to queries. I remember that each one of us at the PIA was assigned to the OpCen on a 24-hour duty. When fatigue forces us to take some sleep, we had to curl up on top of benches scattered around the room. While having the burden of worrying for our respective families, the thought of us having responsibilities to the public that we serve, kept us going. We did the tasks assigned to us with all the best effort that we can provide, which proved how dedicated PIA personnel are in the course of duty, especially when the circumstances call for public safety. As soon as I arrived at the OpCen, I read all the data posted in the bulletin board. From these, I wrote the broadcast release for the day and another press release for the print media outlets who would call the center for updates. Giving relevant and accurate information in the form of press release during that trying time was one thing that made PIA more credible. From 4:00 pm to the early evening, I called on radio stations, both in Central Luzon and those based in Manila for the daily live broadcast of the updates through phone hook-up. No matter how tiring the tasks were, the joy of conveying useful messages and having these appreciated by the people has been truly rewarding. Regularly assigned in the center aside from me were PIA-Region 3 writers Erlie Yutuc, Loi Galang, Gigi Llames, Emma Tabalanza, and admin staff Nitz Malit and Elize Gatchalian, who are now are retired from the service. All of us had a taste of how it feels to become disaster responders, in the form of information dissemination. Camp Olivas was then frequently flooded. To reach the main building where the OpCen was located, we had to ride the tri-bike. Two of our staff, Gigi Llames and Eliza Gatchalian experienced getting wet from flood waters after the tri-bike they were riding overturned. Still, they had no choice but to proceed to their assignment. Since then, we always brought extra pair of footwear and clothes to wear. It was a call of duty. And nothing seems to stop us from delivering our services to the public as information officers of the PIA. After months of that rigorous tour of duty, the PIA was given a room on the first floor of the Camp Olivas building for its operations. Since we had to sleep overnight in the Camp, Gen. Pantaleon Dumlao, the then regional director of the Police Regional Office 3 and chairman of the Regional Disaster Coordinating Council 3 (RDCC3) saw it fit to provide us with our own place, which we called the press center. The room was equipped with telephones, a fax machine and folding beds. Simple snacks like biscuits, coffee and juices were also provided. Two personnel were assigned daily. There were times when the police assigned as security would request to sleep over in our area especially when those assigned were PIA men, among them Lito Naguit, Roel Lazaro and Rod Viray. We also conducted ocular inspections of the various areas affected by the Pinatubo devastation for a more accurate reportage of updates given to media establishments. We didn’t simply rely on the data that the other agencies fed us. During the later months of 1992, personnel from the other regions were assigned in Central Luzon to back staff our undermanned offices in the provinces. Warlito Sandeng was sent to Tarlac, Fernando Sanga was posted in Zambales, Vicky Portiz in Bataan, Rolly del Mundo and Baby Biton came over to San Fernando and Celso Amo who was from the PIA Bicol had a stint in the regional office. Then PIA-3 Regional Director Malou Rivera received some P2 million from Gen. Dumlao for the various disaster management operations, particularly the establishment of the press center. The amount was also used for the purchase of equipment for the staff and the info centers like heavy duty flashlights, raincoats, and radios, which were necessary to sustain our disaster operations without hitch.